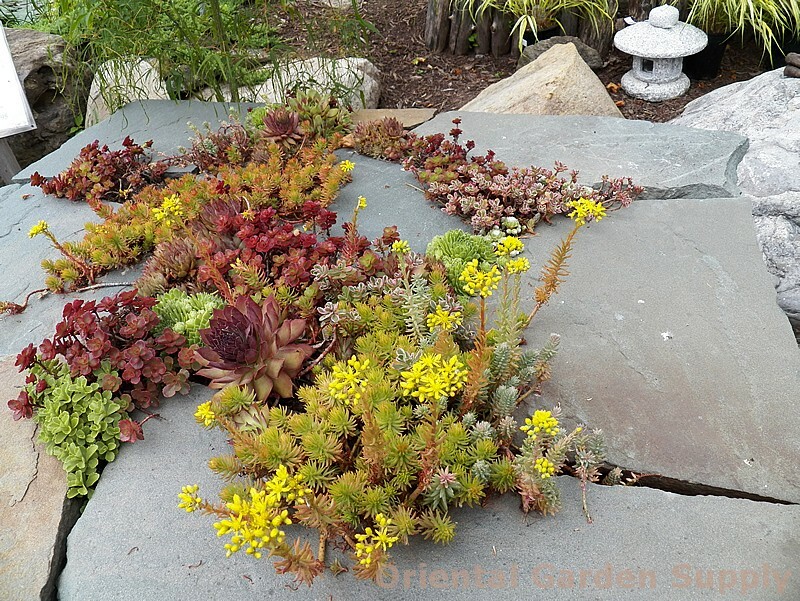 Product Information : Pieces of randomly broken slate form a tabletop where pathways of various sedums and succulents meander. All placed on a large tree stump. A real show-stopper!